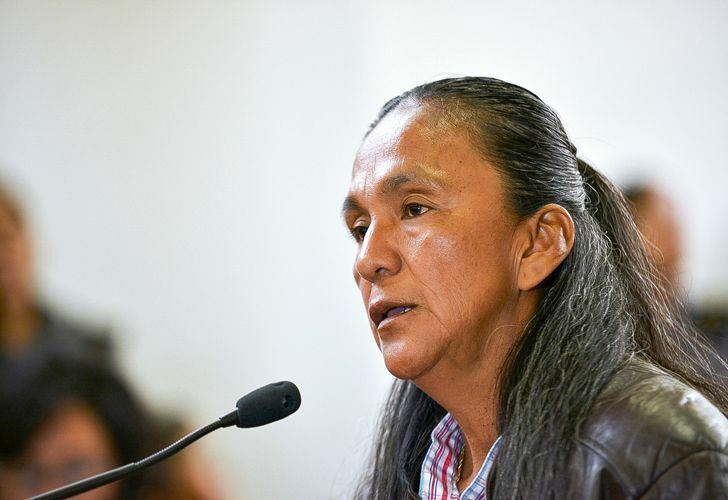 Even without delving into the evidentiary confusion that the onslaught of charges inevitably generates, it is clear that the proceedings against Milagro Sala are illegitimate. Last month, an international delegation of lawyers travelled to Argentina to investigate the prolonged detention of prominent social movement leaders in the province of Jujuy, including Túpac Amaru leader Milagro Sala. Their visit, which comes at a time of deepening social tensions in the country, highlights the need for foreign governments committed to democracy to make sharper demands for the release of Argentina’s political prisoners. A renowned leader of the Túpac Amaru Community Organisation, Sala rose to prominence with the convergence of public sector unions organising and unemployed people’s movements in the 1990s. Túpac Amaru eventually developed a grassroots network with extensive roots in Jujuy’s most impoverished communities, implementing historic housing and social programmes. It mobilised support for the trials against military and corporate defendants responsible for dictatorship-era crimes against humanity, which had long remained stagnant in Jujuy. The powerhouse of social mobilisation also built formal electoral power: in 2015, Sala was elected to Mercosur’s legislature, thereby engaging in a new era of regional co-operation. When Gerardo Morales, a member of the Radical party and a key player in the Mauricio Macri administration’s political structure, took power in 2015, he openly expressed his intent to stifle dissent from Túpac Amaru’s leaders, claiming that his administration had prepared up to 60 criminal cases against Sala in particular. She and other organisers were promptly arrested, first on protest-related charges and later on a number of corruption claims. Since the charges arose from Sala’s role in political protest and proceeded as a consequence of numerous institutional irregularities, the United Nations Working Group on Arbitrary Detention declared that Sala had been detained arbitrarily and requested her release in October, 2016. The provincial judiciary nevertheless failed to comply. Sala was eventually convicted on protest-related charges, with scant testimonial evidence provided by a single witness, who failed to disclose that he was also a government employee at the time. Since she received a suspended sentence, Sala continues to be remanded in custody pursuant to an extraordinary warrant, despite the fact that the two-year limit on that form of detention has passed. Moreover, the government failed to fully comply with an order from the Inter-American Court of Human Rights – later upheld by Argentina’s Supreme Court – requesting that Sala be held under house arrest or released pursuant to less restrictive forms of supervision. Perhaps as a consequence of heightened international attention, prosecutors have expanded the barrage of claims against Sala and other leaders, charging her with crimes as wide-ranging as attempted homicide and a massive case of misappropriation of public funds in relation to the organisation’s public housing programme. Yet despite a hefty media campaign portraying Sala and others as thieves, there is little publicly available analysis about the weight of the evidence, or even all of the proliferating criminal charges against each of the Túpac Amaru defendants. Even without delving into the evidentiary confusion that the onslaught of such charges inevitably generates, it is clear that the proceedings against Sala are illegitimate. 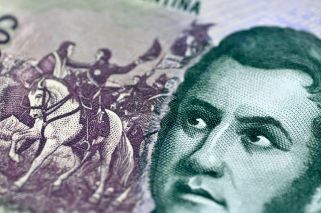 As a consequence of its plain political motivation, the Morales administration has consistently undercut the impartiality of the local judiciary. For example, shortly after the governor took office, members of his party in the provincial legislature voted to expand the number of justices on the provincial Supreme Court, altering the political balance of the very court with jurisdiction over the defendants’ appeals. Two of the newly appointed Supreme Court justices – Pablo Baca and Beatriz Altamirano — were former provincial congressmen who had voted in favour of the expansion within days of assuming their new roles. In addition, Governor Moreales appointed a lead prosecutor, Mariano Miranda, who also served as a leader of the governing Radical party. Miranda later brought criminal charges against a lower official who failed to pursue criminal charges against leading opposition leaders in accordance with the executive branch’s agenda. Furthermore, prosecutors involved in these cases have acted outside of the scope of their lawful authority. For example, the lead prosecutor in charge of Milagro Sala’s prosecution, Liliana Fernández de Montiel, was assigned to prosecute all cases against Sala despite provisions in international law that prohibit granting prosecutorial authority solely on the basis of the defendant’s identity. Moreover, she brought charges based on acts arising from years past, even though she was only authorised to pursue more contemporaneous claims. Finally, defence attorneys for Alberto “Beto” Cardozo – an allied leader who was detained and allegedly tortured after he failed to succumb to a local judge’s request to testify against Sala – have claimed that the prosecutor responsible in his case fails to meet the legal requirements for the position. Even as the government muddies the public’s ability to assess the validity of the charges against Túpac Amaru leaders by stacking the judiciary and flooding the courts with charges, it continues to demonstrate its intent to stifle dissent. Morales initially threatened to strip the Túpac Amaru of its legal status as an organisation if its members did not stop protesting. The judiciary then temporarily shut down Túpac Amaru’s headquarters, imposed hefty fines on the organisation, and, on the eve of the international delegation’s visit, conducted a search of the organisation’s office space without showing a search warrant or permitting the presence of witnesses. Finally, these efforts have coincided with escalating repression of recent protests in Jujuy, including the arrest and prosecution of nine leaders during the opening of the provincial legislative session in April of this year.